Van Gogh moved to Arles in the south of France in 1888. He was disappointed to find that the fruit trees weren’t yet in bloom, as he had imagined they would be. 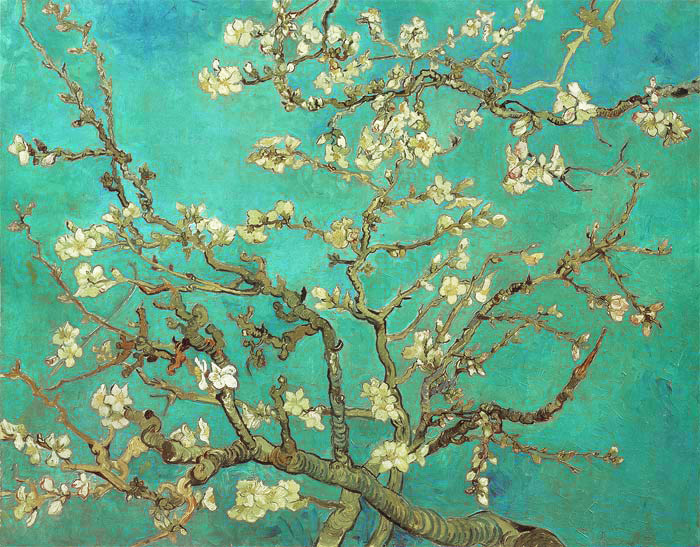 But bloom they eventually did, and the almond blossoms against the clear blue southern sky brighten your day even in darkest winter. SPECIAL NOTE : The painter will make the reproduction as close to the original oil painting as possible. If you want your painting to alter from this likeness, please email us and " Almond Blossom, 1890 " will be reproduced according to your special requirements.